There are far too many mornings in New York when I wake up with a pressing question: Where is my pork chop bun? Flaky croissants, fluffy pancakes and hearty breakfast casseroles are perfectly delightful but one of my absolute favorite breakfasts is something far more basic — a soft white roll filled with a hot pan-fried pork chop. 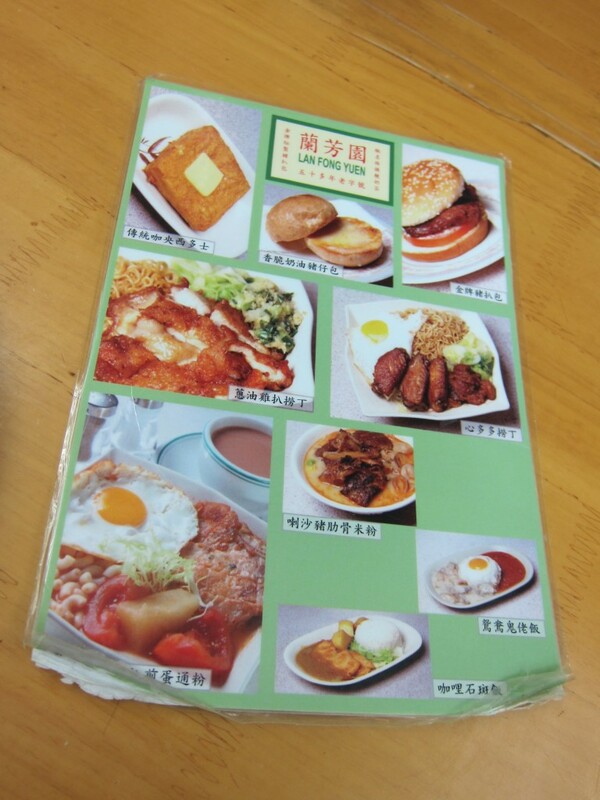 It’s a classic Hong Kong breakfast — one you’ll find in coffeeshops all over the country. 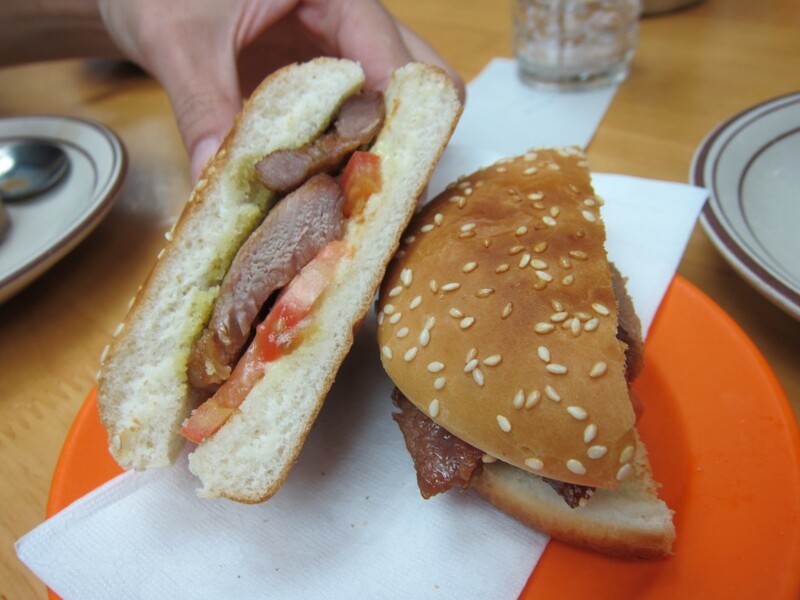 There are variations on the dish — the pork chop is sometimes breaded, the bun is sometimes sweet. Lan Fong Yuen looks tiny from the outside — like little more than a street food cart, really. Behind the cart, however, is a little seating area. 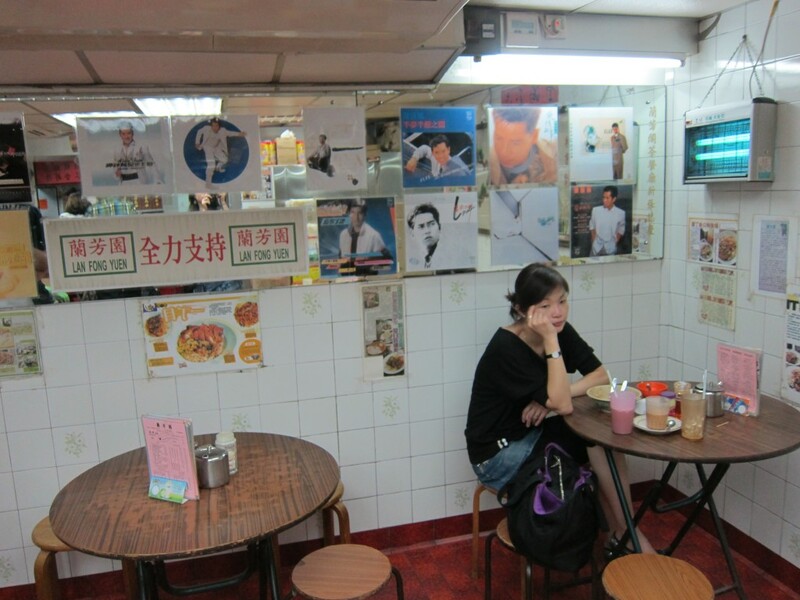 And, in case you didn’t already know how good or famous this place is, its walls are filled with pictures of the Cantopop singer Alan Tam (in his heyday he was the Justin Timberlake of Hong Kong). Actor Chow Yun Fat is supposed to be a fan as well. 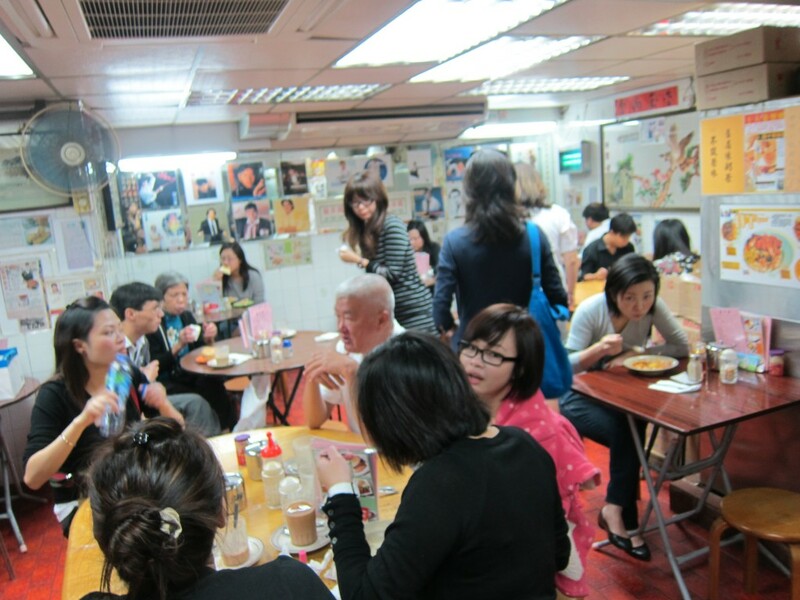 Now, Lan Fong Yuen is a classic cha chaan teng, which means tea meal shop — these are Hong Kong’s version of diners. They serve fantastic breakfasts as well as homespun lunch, dinner and late-night supper dishes like noodles, rice and casseroles (some popular versions are Western-inflected and are made with ham, chicken and tomato sauce). Most important, they’re cheap. But my traveling companions had known what was tugging at my stomach that morning, so we ordered the moment we sat down. Within minutes, the pork chop buns arrived — the sesame buns were lovely and soft and the freshly fried pork chop within was perfectly done. The meat was tender, the seasoning was adequately salty and its exterior had just enough smoky char. Some places add mayonnaise and other accoutrements to the bun — I like mine far less fussy. The less that gets in the way of the basic combination of slightly sweet bread and crispy pork chop the better. 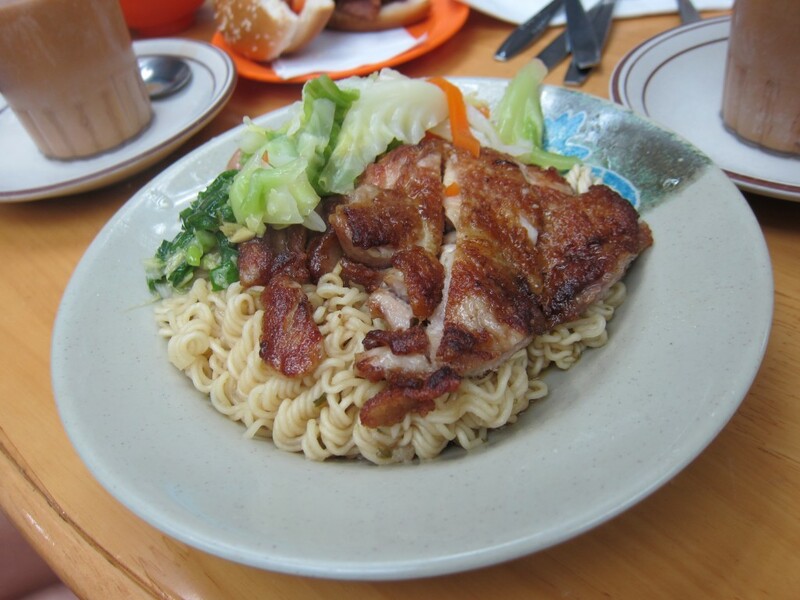 As a chaser, we split a chicken chop noodle — another popular Hong Kong breakfast. This disappeared in seconds. The ramen noodles were nicely al dente and the boneless chicken — its skin still hot and crispy from recent frying — was lightly seasoned and outstanding. 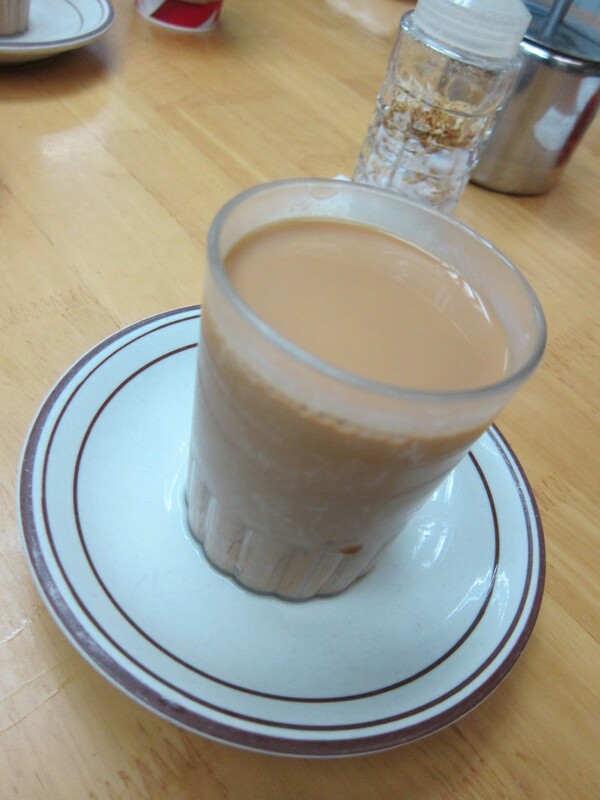 Now, no Hong Kong breakfast is complete without milk tea, a frothy combination of black tea and condensed milk. So to cap this meal, there were cups of the place’s famous “pantyhose tea” — the owner apparently started out in the 1960s pouring his tea through pantyhose into the cup, believing that this produces a silkier tea. We had no complaints here — as Hong Kong milk teas go, this was delicious. And the final bill (for three pork chop buns, the chicken chop noodle and four cups of tea) came up to less than U.S. $10. Talk about an excellent way to start any day. This entry was posted in Asian, Breakfast, Chinese, Hong Kong, Restaurants, Tales From the Road by Cheryl. Bookmark the permalink. I like your book and your blog and I was really touched by your interview on NPR, I am currently living in US but I was born and raised in HK, my parents are from Indonesia so I am quite familiar with the food you have talked about. Excellent job and wish you have a great year of rabbit. 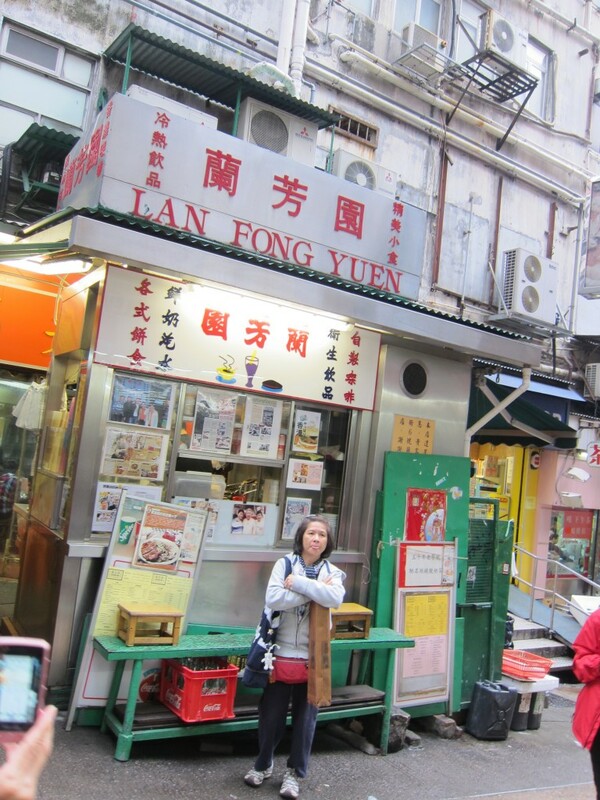 Lan Fong Yuen is one of the best place to explore the local HK food, you are really an expert.